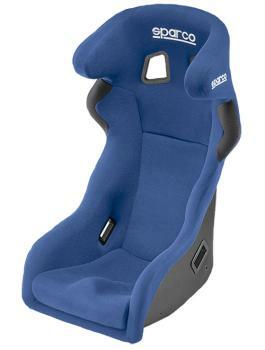 Sparco Seat - Competition Series - Circuit UNIVERSAL - Dezod Motorsports Inc - Home of the automotive performance enthusiast since 2002. Developed in collaboration with the top racing teams in the world, the unique design of the Circuit offers the driver the ultimate in comfort, control and protection. The integrated impact-absorbing head restraint feature combined with unparalleled lateral support, the Circuit is fast on its way to becoming the most widely used seat in road and rally racing. Other features include fire retardant covers with anti-slip fabric in the shoulder and seat areas, pre-formed thigh support to keep legs in the optimum position and special shock absorbing material in the head and side areas, plus HANS compatibility.